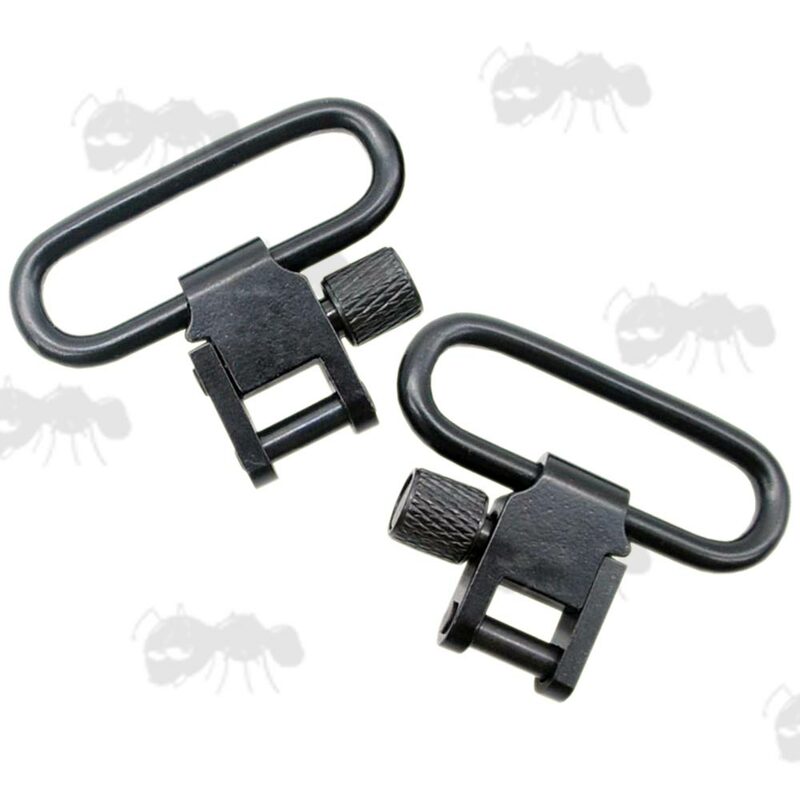 Tri-Lock Quick-Deploy Gun Sling Swivel. 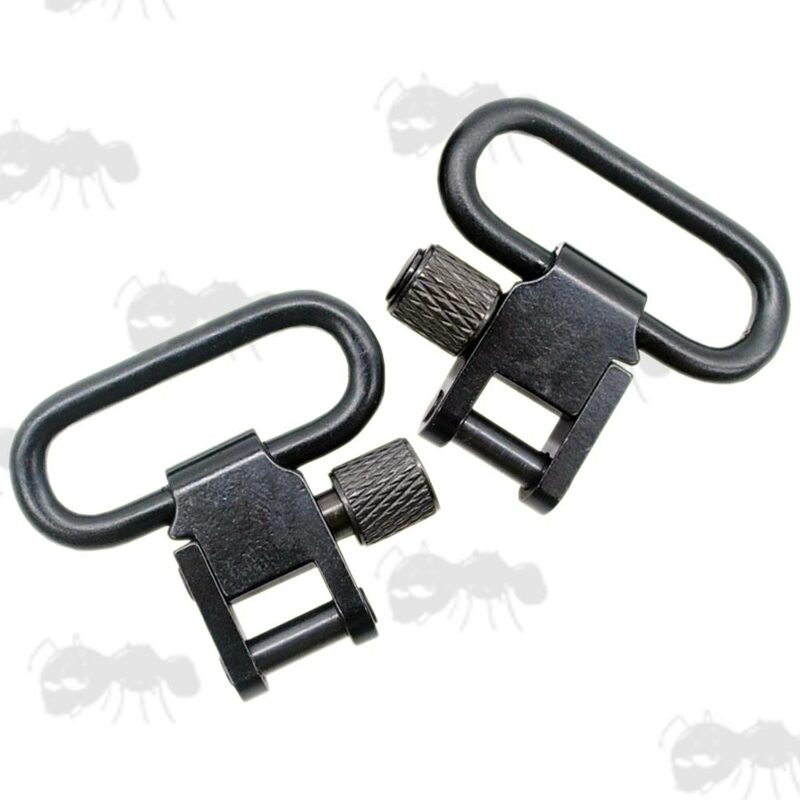 Or £12.00p for one pair of swivels with stud set. Option for 1 inch / 25mm or 1.25 inch / 30mm wide slings. 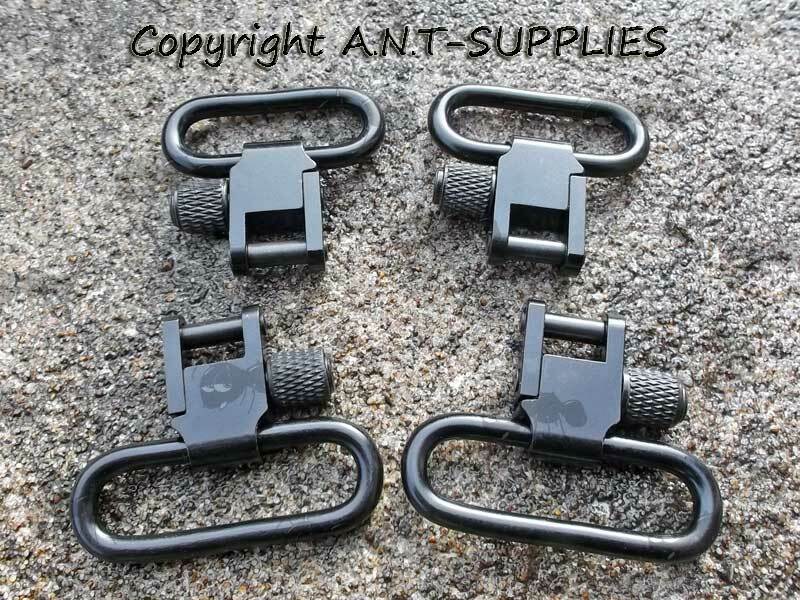 Quick-release sling swivels to replace many factory fitted non-detachable swivels. 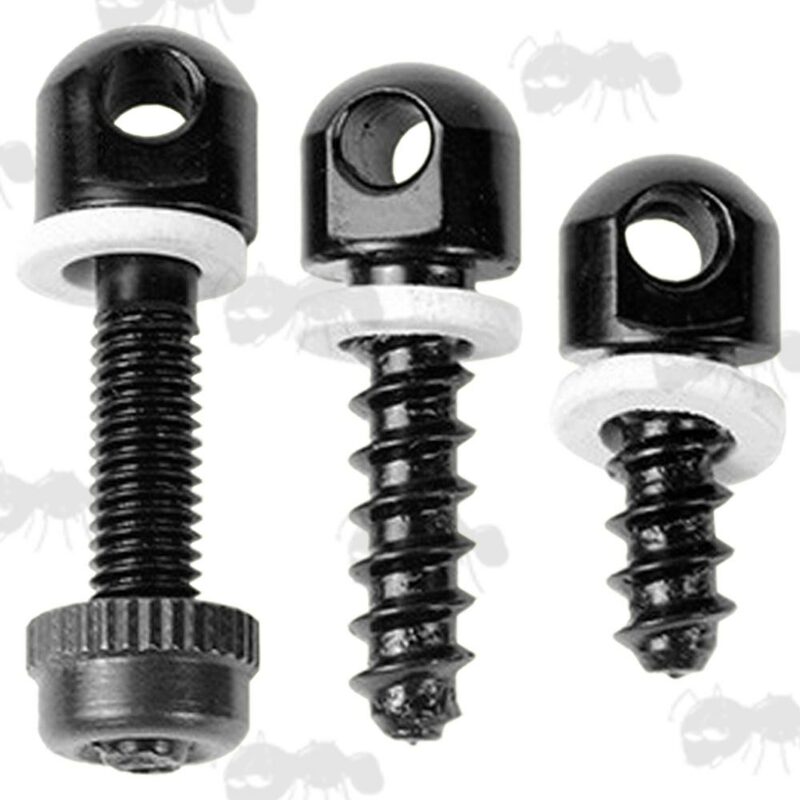 Offers a better fit for molded stocks with molded-in swivel studs. With no squeak or rattle, simply pull back and unscrew the plunger sleeve then push it forward to rotate the locking gate. All steel design with steel plunger sleeve. Colour ~ traditional dark blue / black finish. The widest point on inside of the loop on the 25mm swivels is 27mm and 34mm on the 30mm swivels. Info on the QR studs can be found here.